Old Country Store from Turning Ground is being released worldwide today by South Carolina’s Bonfire Recording Company and it seems the world could not be more ready. The album has already debuted in the Top 20 of Traditional Bluegrass Albums on the Roots Music Report Chart and has been featured on multiple bluegrass radio programs including Bob Mitchell’s “Best of Bluegrass” and WNCW’s “Goin Across the Mountain”. The title track, “Old Country Store” was released earlier this year as a single and has charted on multiple airplay charts. 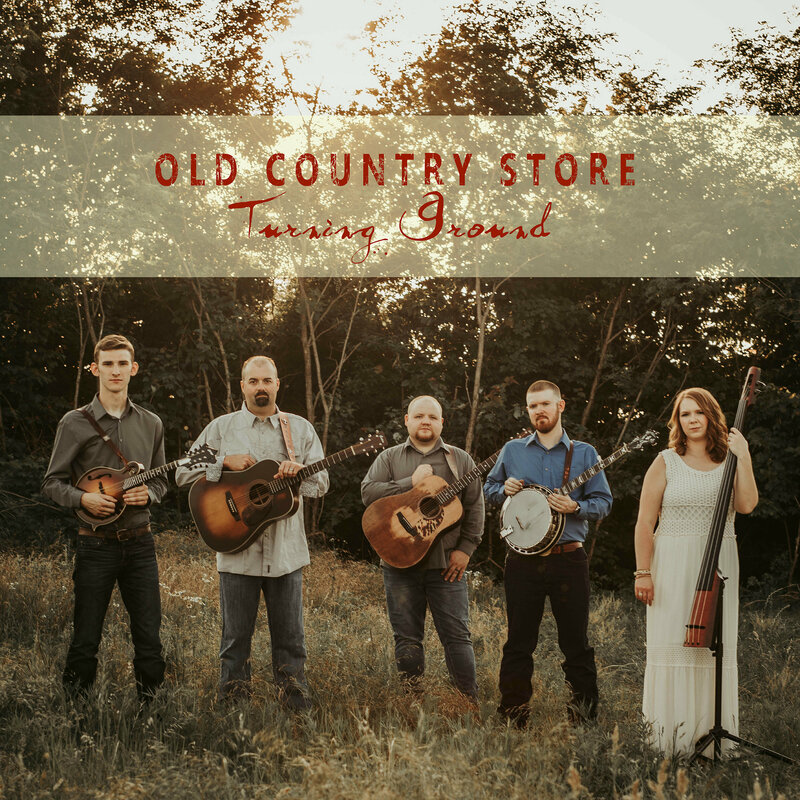 Old Country Store is a diverse collection of nearly all original material penned by Turning Ground’s own Nathan Arnett, along with some fan favorites that were often requested at shows. Stand out tracks include their highly requested hard driving cover of “Barbwire and Roses,” the original gospel tune “I’m Gonna Wear a Crown,” and heartfelt “I’ve Lived a Good Life,” both Nathan Arnett compositions. Musicians playing on the record include Nathan Arnett on guitar and lead vocals, Ralph Adams on guitar and harmony vocals, Joshua Cantrell on banjo and harmony vocals, Evan Maynard on mandolin, Kayla Amburgey on bass and harmony vocals and Albon Clevenger on fiddle. Old Country Store is available now from all popular music distributors for download and purchase and from AirPlay Direct for radio programmers. You can follow the band online through their website or on social media.